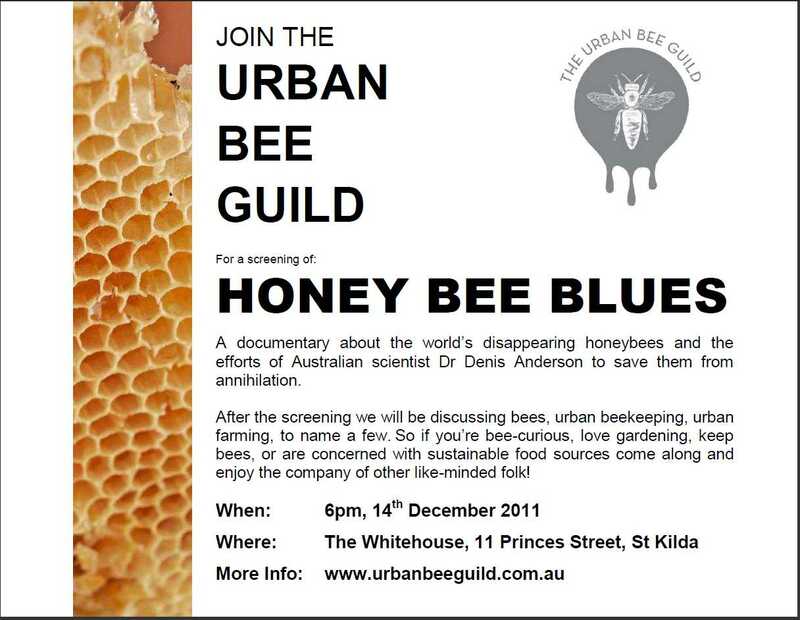 Newly formed group The Urban Bee Guild is holding an event to gather together Melbourne beekeepers. We are the Urban Bee Guild and our aim is to promote beekeeping in urban Melbourne. We are not a club as such (we don’t have monthly meetings) we focus on events that will help educate urban beekeepers and the bee-curious about responsible and sustainable beekeeping as well as urban produce and threats like the varroa mite. “We” are a group of Melbournians passionate about beekeeping, including Mat & Vanessa (from rooftophoney.com.au), Sabine (a biosecurity expert), and Simon (finance guy and amateur beekeeper). 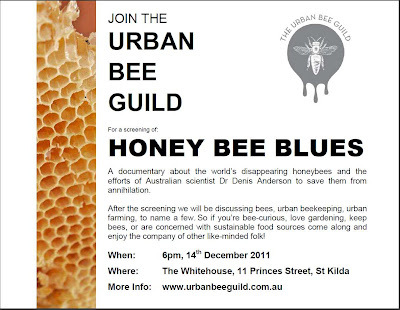 After the screening we will be discussing bees, urban beekeeping, urban farming, to name a few. So if you’re bee-curious, love gardening, keep bees, or are concerned with sustainable food sources come along and enjoy the company of other like-minded folk! A documentary about the world’s disappearing honeybees and the efforts of Australian scientist Dr Denis Anderson to save them from annihilation.